Site has moved to a new location! Check it out! Follow this link! At the end of 2013 Douglas Laing released Scallywag a lovely fresh and fruity dram. They have now released a cask strength limited edition bottling of Scallywag at 53.6%. Only Speyside malts are used in this blend, matured in sherry butts and bourbon hogsheads. Thanks to the lovely guys at Douglas Laing we got send a sample over to give this one a try and make some notes on it. Orange, passion fruit, spices, rich vanilla, demerara sugar and bit barley feel to it. Nutmeg, cocoa, cinnamon, lemon, dark berries, pomegranate and some light pipe tobacco note with just a hint of leather on the edge. It feels filled with dark fruits, chocolate, vanilla and other sweet rich notes. At first there is some fresh red pepper mixed with dark chocolate. After that there is an explosion of sweetness filled with red and dark summer fruit. A creamy rich vanilla feel with sultana's, but on the other side some rich dried fruits and some lush cake. At the medium length finish you feel the powerful fruit and spice notes from the palate fade away a bit, and you are left with soft clover honey, chocolate sprinkles, cookie dough and cream. Getting urges to get myself some chocolate chip cookies for with this dram. Lovely sweet and fruity. 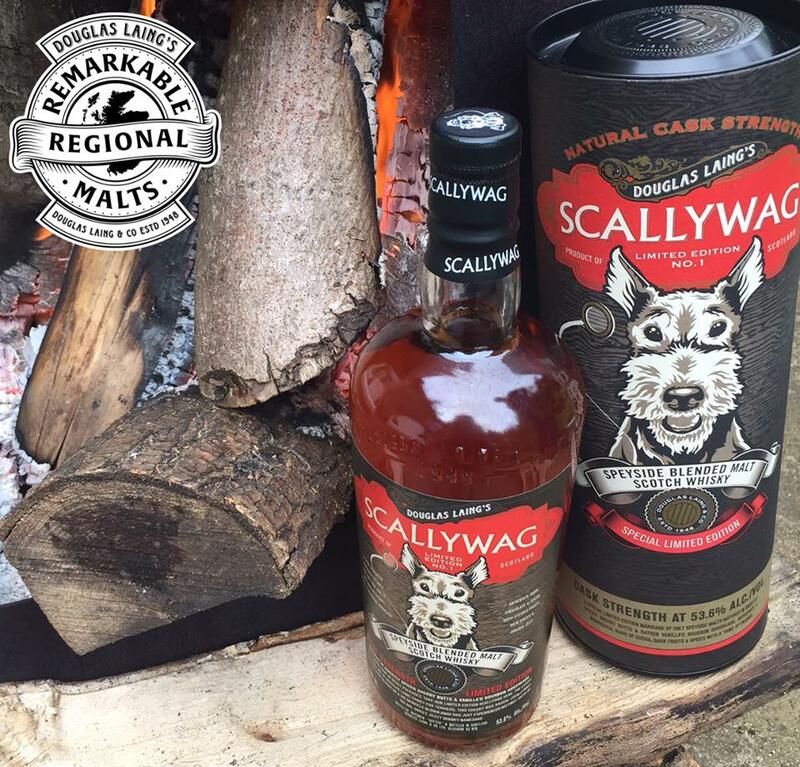 It is less high on the citrus notes that I got of the Scallywag in 2013. Scoring me this one an 7,5/10. Certainly one to be on the look out for in the shops, coming soon to the shops! (C) All content on this site can not be used or replicated without the permission of Ansgar Speller. Simple theme. Powered by Blogger.